WorldMovieStore - The Rum Diary Sinopsis. Based on the novel by Hunter S. Thompson, The Rum Diary, follows itinerant journalist Paul Kemp (Johnny Depp) on an alcohol-fueled journey across the pristine island of Puerto Rico. Adopting the rum-soaked life of the island, Paul soon becomes obsessed with Chenault (Amber Heard) the wildly attractive fiancée of Sanderson (Aaron Eckhart), an American businessman involved in shady development deals. When Kemp is recruited by Sanderson to write favorably about his latest unsavory scheme, the journalist is presented with a choice: to use his words for the corrupt businessman’s financial benefit or use them to take him down. Read More Sinopsis. 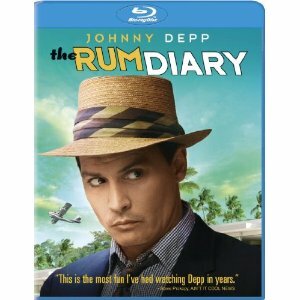 0 Response to "BLu-ray Release The Rum Diary"